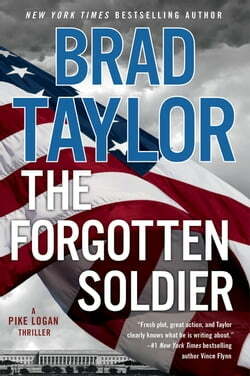 The ninth thriller in the New York Times bestselling Pike Logan series by Brad Taylor, a retired Delta Force commander who has lived for more than twenty years in the world about which he writes. For years, the extralegal counterterrorist unit known as the Taskforce has worked in the... read more shadows, anticipating and preventing attacks around the globe. Created to deal with a terrorist threat that shuns the civilized rule of law, it abandoned the same, operating outside of the US Constitution. Wildly successful, preventing disaster time and time again, it was rooted in a fear that the cure could be worse than the disease. And now that fear has come home. A Special Forces soldier is killed on an operation in Afghanistan. Complicit in the attack is a government official of an allied nation. While the US administration wants to forget the casualty, one Taskforce member will not. When he sets out to avenge his brother's death, his actions threaten to not only expose the Taskforce's activities, but also destroy a web of alliances against a greater evil. Pike Logan understands the desire, but also the danger. Brought in to eliminate the risk, he's now forced to choose between his friend and the administration he's sworn to protect, confronted with the greatest threat he's ever faced: a Taskforce Operator gone rogue. Unbeknownst to either of them, the SF soldier's death is only the beginning. . . .